Hiking 20 miles is a way to get sore feet, and maybe not a whole lot more. The benefit in cardiovascular fitness and weight control comes from adding the 4000+ feet of vertical gain that characterized today’s killer hike, up the ridge from the bay side, down the ocean side and back. I left the car halfway up King’s Mountain road, in the usual spot, in the middle of the fog zone. 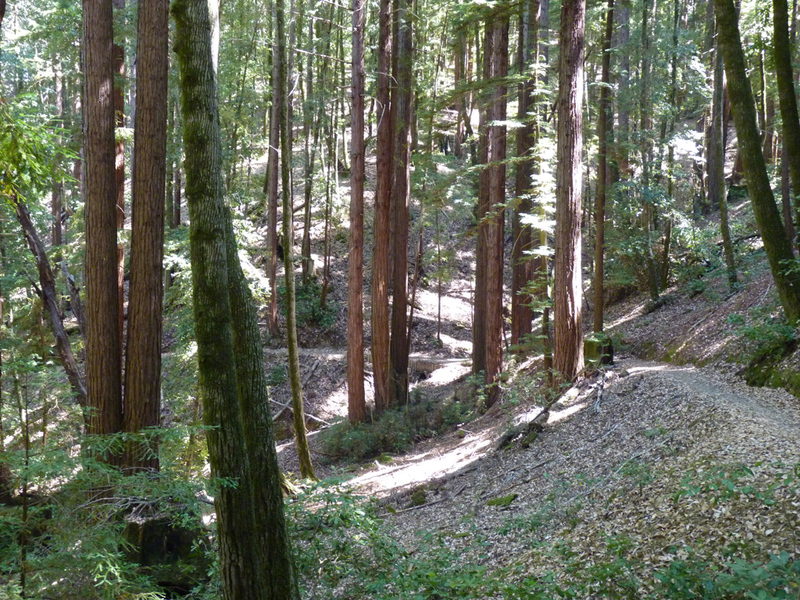 As usual, I hiked down through Huddart park to the Phleger estate. I took the Raymundo trail just to add a little distance to the hike, and climbed out to Skyline. 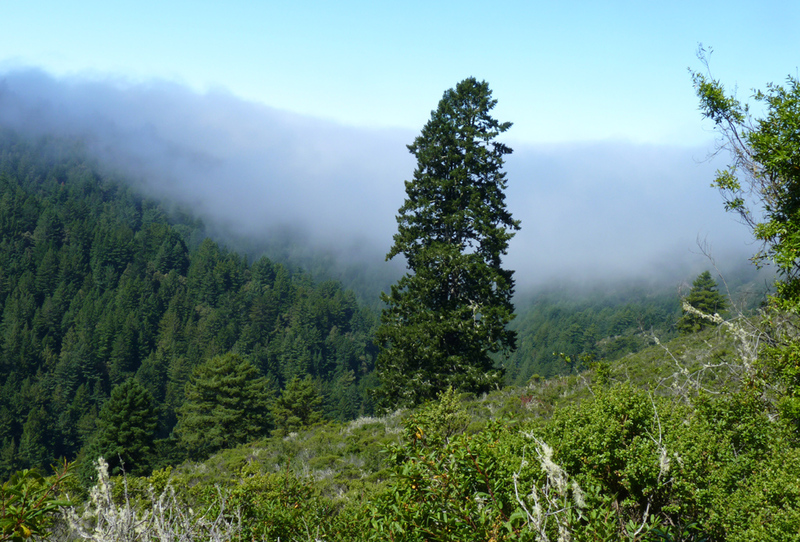 Purisima redwoods open space preserve lies across Skyline. Most places were sunny now, but there was still fog over the ocean and inland some distance. By afternoon, maybe (or maybe not) all the fog will have burned off. 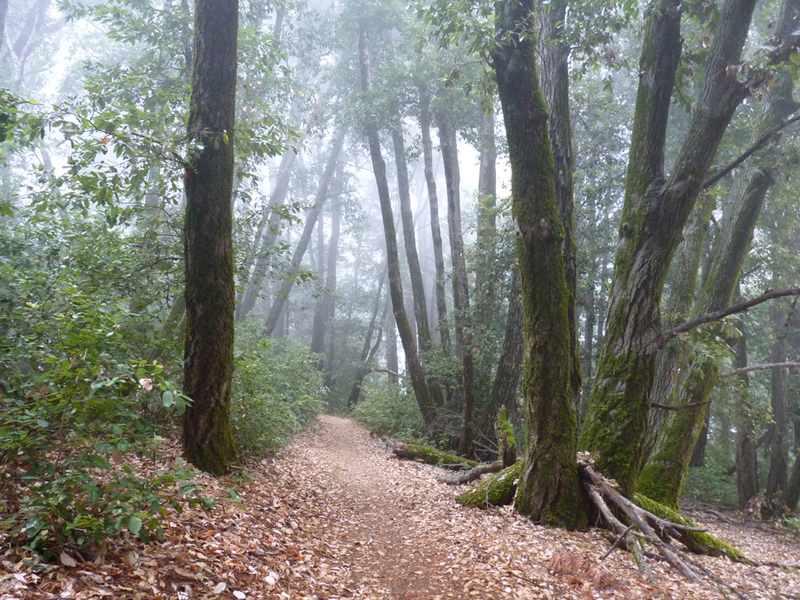 I don’t take the upper Purisima trail (fire road) all that often. Turned off at the Craig Britton trail, hiked over to Harkins ridge and down. 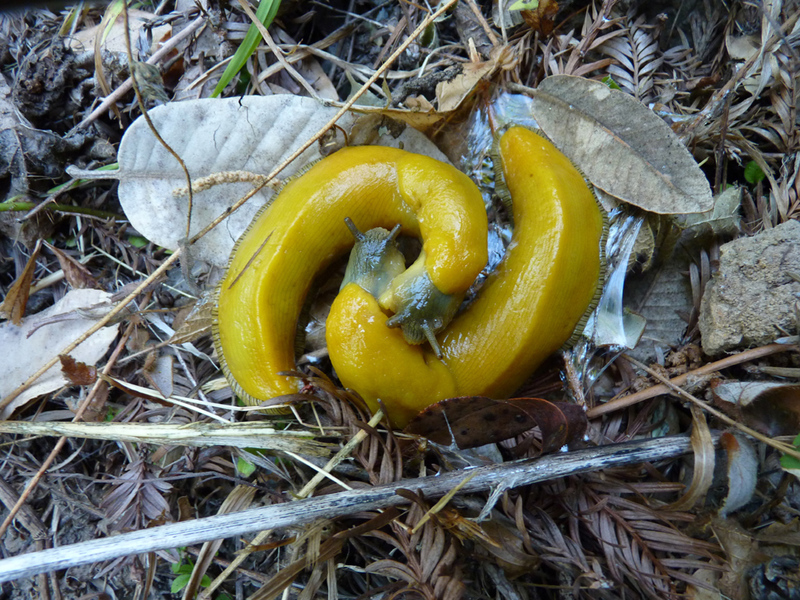 First wildlife of the day was a pair of banana slugs making mad, passionate love. 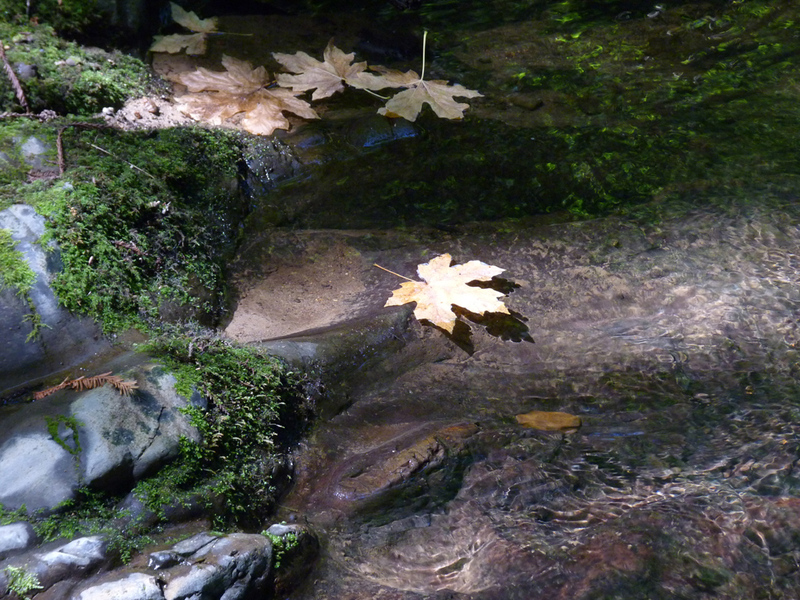 At the bottom of the trail, we come right down along the creek, which runs year-round. Very pretty. 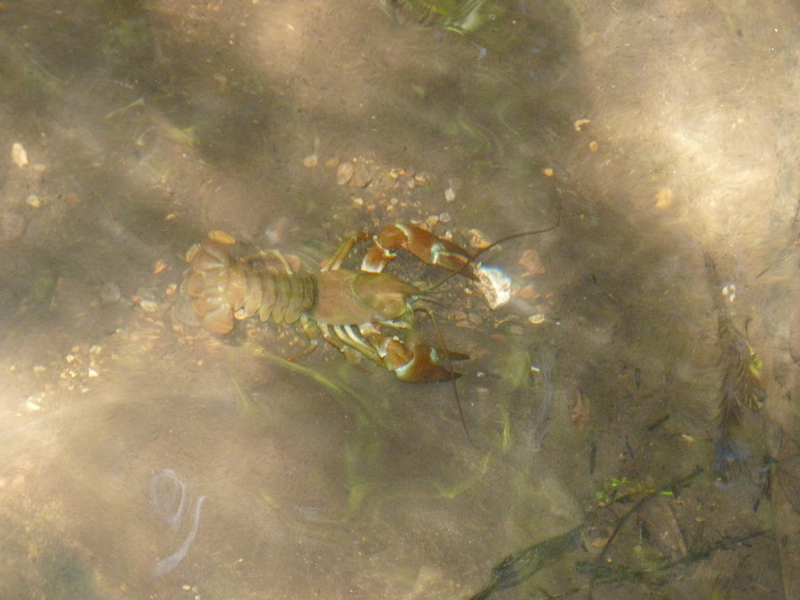 There was a log fallen across the creek, with a fairly deep pond just downstream, and in the pond, crayfish! I bet not one visitor in a thousand knows there are crayfish in this creek! 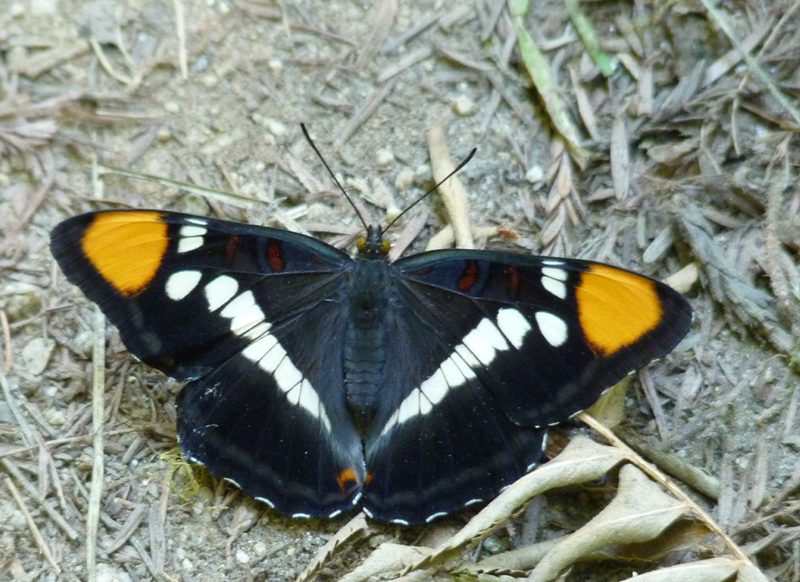 And a very pretty butterfly, willing to wait motionless while I photographed him. A nice day indeed, but it was starting to become work by the time I got back up to Skyline. 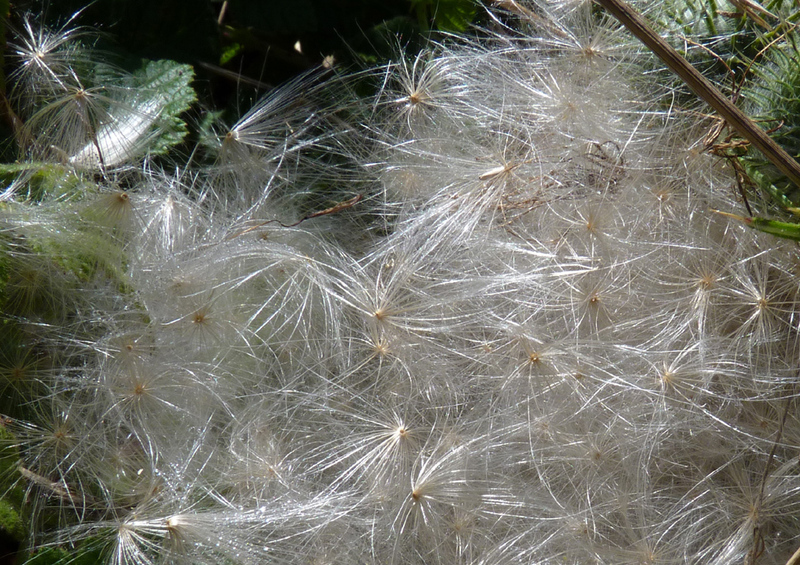 Crossed the road to Skyline trail, which I took to Chinquapin trail and back down.